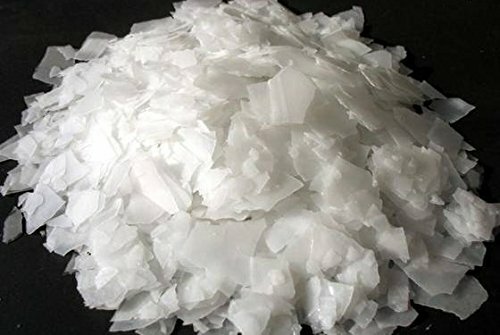 Details: Potassium hydroxide (KOH), commonly called caustic potash, is used in products that clean and disinfect surfaces, in drain cleaners, cuticle removal products and leather tanning chemicals. It is used in petroleum and natural gas refining to remove organic acids and sulfur compounds. 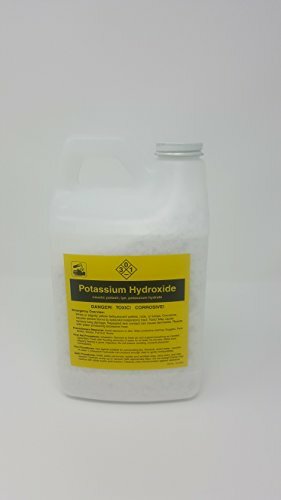 Uses of Potassium Hydroxide Chemical Reaction A chemical reaction in which an explosive or corrosive gas is released may occur if potassium hydroxide comes into contact with an acid, an ammonium salt or moist air. Eye Contact Potassium hydroxide is corrosive and it may cause burns, severe irritation, severe pain, swelling, impaired vision and/or eventually blindness if it comes into contact with an individual’s eyes. Ingestion Potassium hydroxide is not only corrosive, but also extremely toxic so it may cause burns, diarrhea, vomiting, severe stomach pain, shock and/or death if it is ingested. Inhalation Since potassium hydroxide is corrosive, it may cause an individual to cough, sneeze, develop breathing problems and/or damage the individual’s lungs if it is inhaled–the amount of damage depends on the amount of exposure. Skin Contact An individual may develop blisters, burns, severe pain and/or permanent scars if the skin comes into contact with potassium hydroxide.